Four Seasons Shopping Centre in Mansfield is working in association with their local charity of the year, John Eastwood Hospice, to provide much needed funds for their care services this Christmas. Shoppers are invited to write a memory of someone special on a star shaped gift tag and hang this on the Memory Tree located next to the Customer Service Desk. 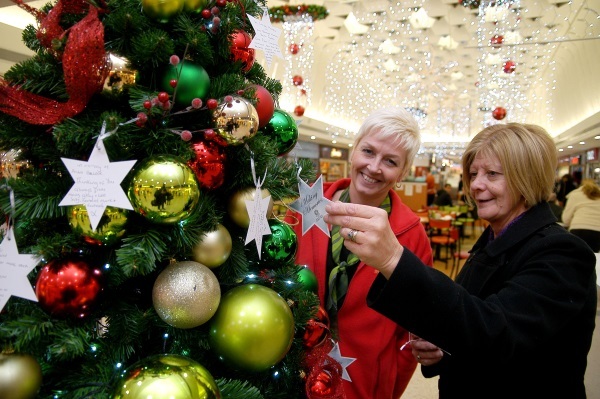 Shoppers will be encouraged to make a donation however small or large to the charity in exchange for their memory being hung on the tree.